Someone famous once remarked that fascism would come to America with someone waving an American flag. At the time, I doubt the person making this noteworthy comment envisioned the flag-waver as the first Black American president, but stranger things have happened. Obama, of course, could not have risen to the position of power that enabled him to deprive us of our civil and human rights with the stroke of his pen without a lot of help from Wall Street and America’s aristocracy, but that doesn’t make his commitment to furthering the fascist agenda laid down by his predecessors and mentors any less onerous. 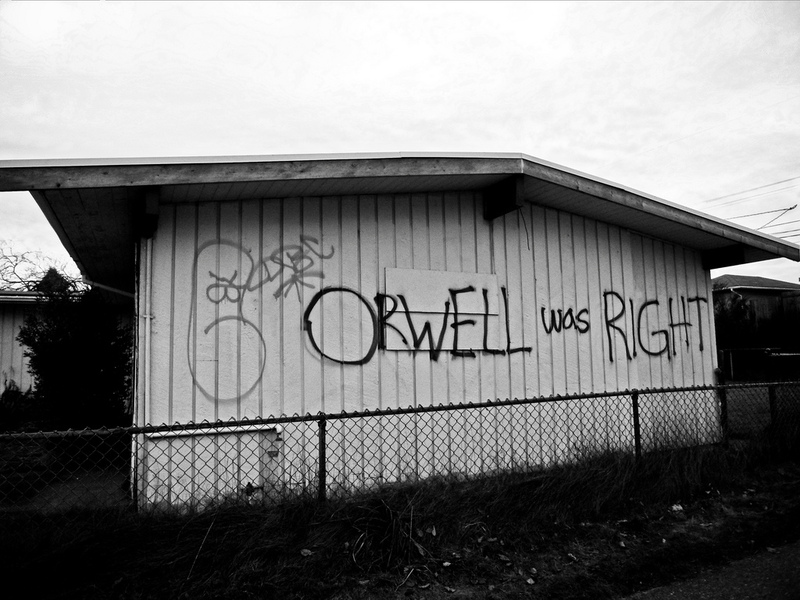 In our Orwellian America, independent thought is a truly herculean achievement; with the indoctrination of young and vulnerable minds through media, education, and propaganda, it is amazing that any of us escapes the coordinated corrosion of democratic principles and practices, let alone manages to rethink, recover, regroup, and resist. From CIA-sponsored color revolutions to corporate paternalism, we are taught to be intellectually infantile and politically illiterate. Those who awaken from this L-dopa state are quickly categorized as non-conforming and shuttled off to re-education camps, prison plantations, or meaningless lives of poverty. To accomplish this state of collective unconsciousness through mass communication, Madison Avenue played an essential role, often overshadowed by Wall Street, but always close to official engineers of the psychological warfare deployed by government agencies. Hijacking history helped, but even more effective are campaigns of racially diverse kids on TV singing songs about sharing Coca-Cola with the other kids of the world, or happy idiots waving CIA-purchased colored banners as oblivious dupes of Soros’ Open Society. Fascism, after all, cannot be billed as a hate campaign (even though it eventually foments them), but rather as a family friendly frolic in the festive fantasy of the fatherland. Now where did we see that before?